Miami-based Deltana has been offering the largest selection of door hardware in America since 1977. In nine finishes made from the finest brass, zinc, and aluminum, Deltana hinges, knobs, and bathroom accessories are among the best architectural hardware pieces available today. 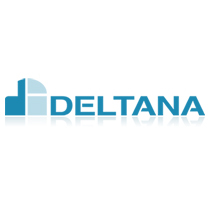 Meeting the needs of any modern bathroom, Deltana bath accessories include wire baskets, towel bars, toilet paper holders, and robe hooks, as well as matching hardware accessories like cabinet pulls, door knobs, and hinges.